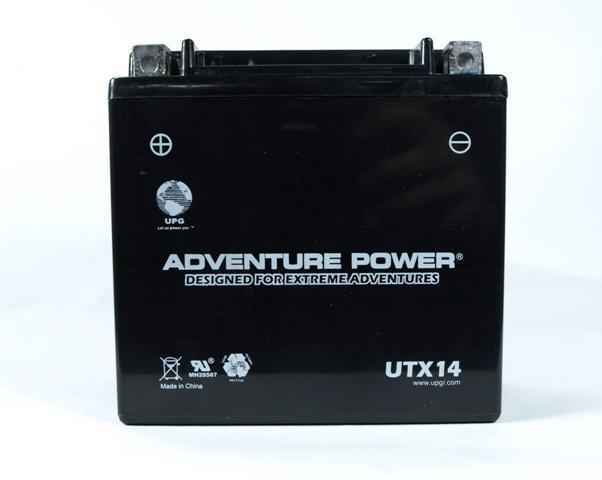 This replacement battery is brand new and comes with a one year warranty.Take good care of your Honda motorcycle by ensuring you only get the best quality lead acid batteries. Dimensions: 3.46'' long, 5.71'' deep and 9.7'' tall. If you have any questions about this product don't hesitate to call 800-985-1853. AGM Stands for Absorbent Glass Mat. It is a new type of valve regulated lead acid battery that contains fiber glass sheets. Like gel batteries, an AGM battery will not leak acid if broken and they do not have to be positioned upright to work properly. This SLA battery is sealed and completely maintenance free.